« Shrimp, Tomatoes, Basil, and Voila! Melt your cheese gradually to ensure a smooth fondue. Stir constantly as you are adding the cheese, making sure to reach every corner of your pot to prevent clumps from forming. Pre-heat your fondue pot before you transfer your fondue from your stove to the pot. Allow the fondue to gently bubble so that the cornstarch cooks, but don’t allow it to come to a full rolling boil because you will risk curdling the fondue. Rub the garlic glove over the inside of a medium-sized heavy saucepan, coating the whole pan with the oils of the garlic. Pour the wine and lemon juice into the pan and over medium heat bring to a very light simmer. 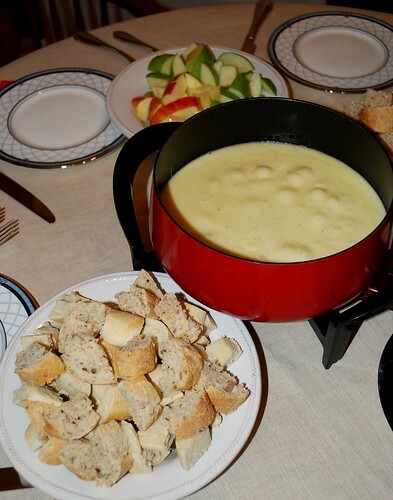 Place the Gruyere, Ementaler, and Appenzeller cheeses in a medium mixing bowl. Sprinkle cornstarch over the cheeses and toss to coat the cheese. Add the cheese to the simmering wine about 1/2 cup at a time, stirring until each addition is almost completely melted before adding the next. The fondue should bubble gently, but do not allow it to fully boil. When all the cheese has been melted, then add te kirsch, nutmeg, and pepper. Transfer this mixture to your fondue pot, keeping the mixture warm over gentle heat. Serve immediately with cubed bread, veggies, apple slices, and/or sausage. 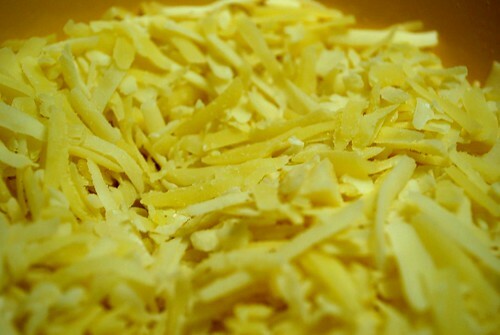 If your fondue is too thin, then add 1 cup extra shredded cheese and stir it into the mixture. 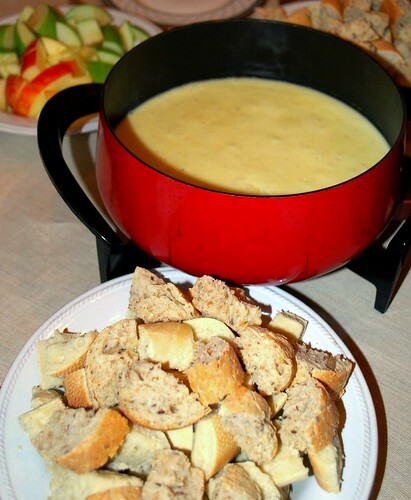 If your fondue is too thin and you don’t have extra cheese, then mix 1 tablespoon of cornstarch with 1 tablespoon of your cooking liquid (the wine) and add this mixture gradually to the fondue while it is still on the stove. Stir constantly and continue to add the cornstarch mixture until the desired consistency is reached. If your fondue is too thick, then warm some extra wine in a separate saucepan and stir gradually into the fondue, until the desired consistency is reached. If fondue is lumpy or gritty, then add 1 tablespoon of lemon juice or vinegar and whisk stiffly until the mixture is smooth. If the fondue separates, then return to the stove over medium heat and whisk constantly until the mixture is smooth and incorporated. This should not happen if your guests swirl the fondue as they dip.